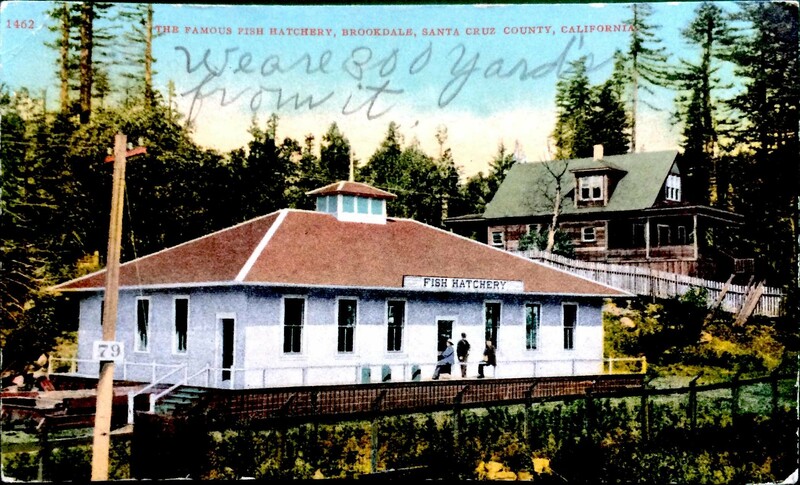 The World Famous Brookdale Fish Hatchery! I wonder what it takes to make a fish hatchery world famous? They must have really been at the cutting edge of trout and salmon back in 1910! 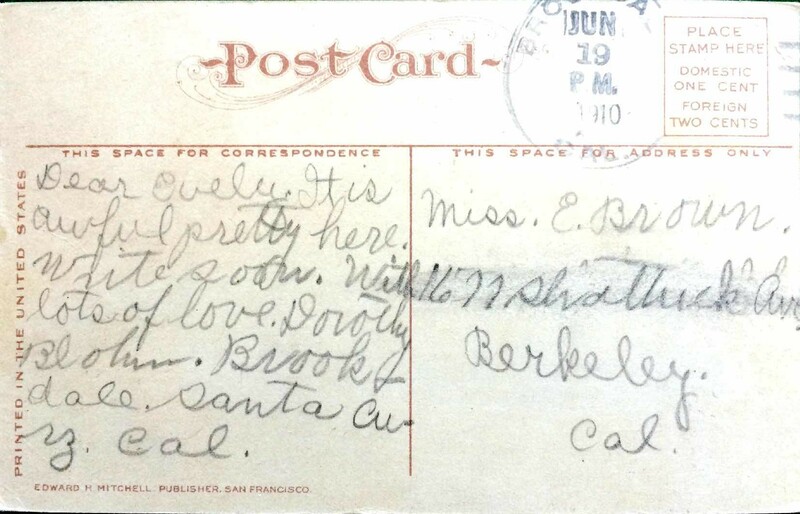 Still though, I agree with the sender of this postcard that Brookdale and Santa Cruz (Curz) are still awful pretty.